I know people talk about Proverbs 31 a lot however, the first part of verse 28 caught my attention a few days ago. 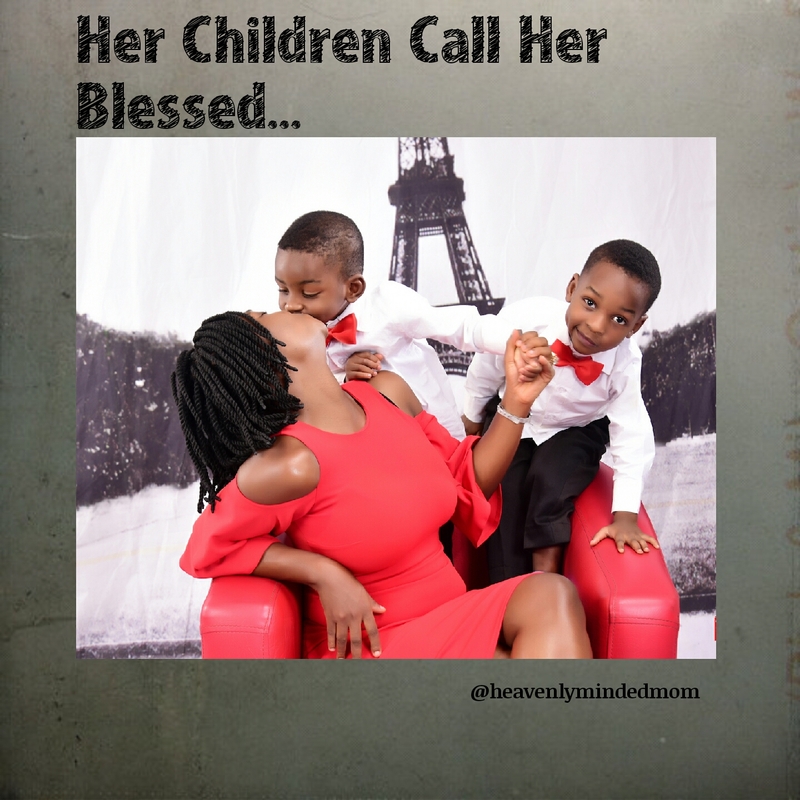 My children do not call me blessed. Well, they are 3 years old, 2 years old and 2 months old. When I lived with my parents, I never called my mum blessed despite the fact that she is a good mother. Maybe I was too stuck up or too stupid but as an adult I can proudly say my mother is a blessed woman. The truth is, as mothers, a lot of the stuff we do may go unnoticed but you know something? A day will come when they will look back and understand everything you have done. They will call you blessed. Do not give up!!! Even when you feel discouraged. Cast your burdens upon the Lord, Jesus is the affirmation you need. Thank You Lord for my family, help me to serve them with love and joy. In my weakness, be my strength. Comfort me when I feel discouraged. Help me to appreciate good days and to remember such days when I feel overwhelmed In Jesus Name. Amen.